One of the most popular types of vegetable crops are cucumbers. They are very unpretentious and if timely care is very prolific. All summer you can collect a great harvest if we can find a sound approach for simple cultivation. One of the ways to increase the yield – topping cucumbers. Many gardeners wonder if it is possible to achieve high productivity, if you pinch back cucumber correctly and in a timely manner. On this account there is no unanimous opinion. Quite possible to leave all the lateral shoots without pridobivanje, and the yield is thus not reduced. But a male shoots, which will form the ovaries will receive the same amount of moisture and nutrients, as well as female fertile shoots and formation of leaves will be increased. With the right topping non-bearing shoots there is the possibility to get rid of the bitterness of the cucumber, which is very often present (more than 70% of these shoots and give the bitterness). Besides, if you know how to pinch back cucumbers correctly, you can avoid decay and many diseases of plants that can hit in the overgrown tangle of vines. In addition, primitiva the shell, are formed at protonotary branch for additional produce a crop of cucumbers. Vines subjected to this treatment, the formation of the fruit occurs most actively, the form is correct, without "hooks". Topping is a completely uncomplicated process which only consists of truncation of the upper leaves by hand or cut with scissors until flowering. You need to pinch back cucumbers correctly to avoid damaging the leaves, stem vine. Often the equipment manufacturers to describe the packaging of seed and, having done it once, to repeat the next year is not difficult. It is sufficient to remember a few simple recommendations. When the main branches of the first four plates, topping produce immediately, it will be a powerful stimulus to further growth of branches and formation of the stem. When the side shoots were given a new ovary, pinch back cucumbers correctly will help the following technique: leave one ovary and one sheet. And thus each side of the whip needs to be treated. Shape the plant by topping need at each branch and along the entire length. Weak shoots and empty ovaries need to be removed immediately. In addition, the lower branches, even fruit, is also subject to circumcision, because they will consume the greatest amount of nutrients, and fruits are not happy. 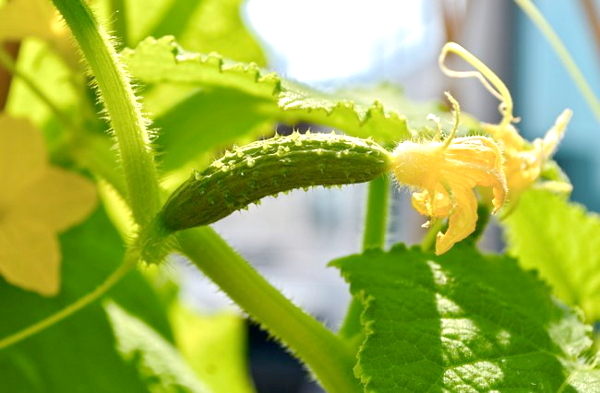 In order to understand how to pinch back cucumbers properly, you need to remember that the main branch to remove the leaves after the sixth or seventh leaf, and on each side – all subsequent after the first sheet and the ovary. After this procedure the plant should be fed with fertilizer. Time for the timely processing cucumber vines need not so much, and hardworking gardener will have a high crop of cucumbers.